Fruit juice, salads, and dried fruits are good for you, right? Not always. Sometimes health foods aren’t so healthy. They can be filled with sulfites, preservatives, fat, and sugar and raise your risk of developing heart disease and other deadly ailments. Be careful of the following six “healthy” food choices. Natural fruit juices are high in sugar — and calories. For instance, an 8 ounce serving of grape juice contains 170 calories: The same serving of Coca-Cola Classic has only 90 calories. 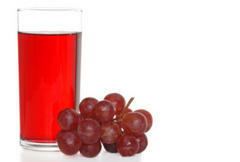 Fruit juice drinks masquerading as fruit juice can have as little as 5 percent natural fruit juice. Limit your intake of fruit juices, and when you buy, be sure you’re getting 100 percent natural fruit juice. For fewer calories, add sparkling water to fruit juice to make your own fizzy soft drinks. Taking the fat out of peanut butter may sound like a good idea until you realize that the calorie count is almost exactly the same as regular peanut butter — the manufacturer has often just replaced the fat with sugar. 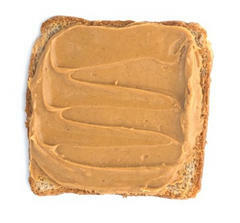 (A serving of regular peanut butter has 16 grams of fat, while the reduced-fat version has 12 grams.) But don’t forget, those fats in natural peanut butter are monounsaturated fats that help lower cholesterol levels. Stick to regular peanut butter, but eat it in moderation. However, since most regular peanut butters add a bit of partially hydrogenated oil to prevent separation (even though the label will claim 0 grams of trans fats per serving), buy natural peanut butter that only contains peanuts and salt. They can contain healthy lettuce and other vegetables packed with vitamins and minerals, but salads too often include buttery croutons and are loaded with fatty salad dressings. Some fast-food salads, in fact, have as much fat and as many calories as a double quarter-pound burger with cheese. Wendy’s chicken BLT salad weighs in with 790 calories and 13.5 grams of fat. Jack in the Box’s chicken club sandwich with bacon ranch dressing tips the scales at 866 calories and 59 grams of fat. Make your own salad and flavorful low-fat dressings. 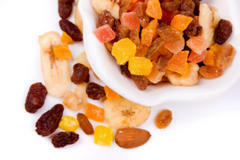 While a great compact source of vitamins and minerals, dried fruits also contain a lot of calories. A handful of raisins has about the same amount of calories as a whole pound of grapes, since they still contain all of the sugar in grapes, and their small size may lead you to eat more. Fresh fruit is a better option if you’re watching your weight. Another warning: Dried fruits may contain sulfites, which can cause allergic reactions that are sometimes life-threatening in sensitive people. Muffins can be healthy if made fresh from scratch in your kitchen, but not so much if they’re bought at the local supermarket or fast food restaurant. Most are high in fat and calories and loaded with preservatives and additives. A single 2.5 ounce apple-cinnamon Otis Spunkmeyer muffin contains 250 calories along with 12 grams of fat and 31 grams of carbs. And fresh out-of-the-oven muffins from a bakery are often much worse. 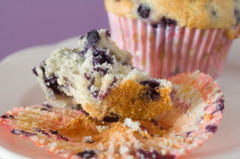 Cookinglight.com found that bakery and restaurant muffins often dwarf homemade muffins and can contain more than 350 calories. Even if the ingredients are healthy, eat too many muffins and you’re in danger of developing a “muffin top,” when your flab spills over the top of your jeans. Just because you’re not eating meat doesn’t mean you have a great diet. In general, vegetarians have lower body weights in comparison to meat eaters, but wrong choices can pack on the pounds. Substituting large amounts of cheese and peanut butter for meat can adds both calories and fat to your diet. And frying, even though you’re frying potatoes and zucchini, isn’t a good idea for anyone. 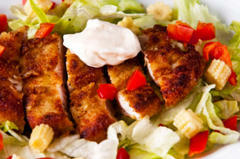 Be aware of using too much sour cream, mayonnaise, butter, and salad dressing when preparing your food. Fruit juice, salads, and dried fruits are good for you, right? Not always. Sometimes health foods aren’t so healthy. They can be filled with sulfites, preservatives, fat, and sugar and raise your risk of developing heart disease and other deadly ailments.